Cavon Butler's high school career at Toledo Whitmer has reached its end. Butler and the Panthers fell in the second round of the OHSAA playoffs Friday night by a 43-20 final at the hands of Dublin Coffman. So what's next for the three-star defensive tackle? Well, Division I college football ... somewhere. Butler is being heavily recruited by both Kentucky and Ohio State. He's currently committed to the Wildcats as he gave them his pledge on Aug. 3. But that was before the Buckeyes offered ... coming on Oct. 6. When that happened, the decision wasn't so cut and dry. After Ohio State defensive line coach Larry Johnson visited Butler in Toledo during the Buckeyes' bye week, Butler will make an official visit to Columbus. Cavon Butler, a current Kentucky commit, is being recruited heavily by Ohio State. "I'll be going there on the 24th when they play the team up north," Butler told 247Sports' Bill Kurelic. "Larry Johnson and Mark Pantoni [are recruiting him]. I talk to [Johnson and Pantoni] everyday. It's a good relationship with the coaches. I talk to Urban Meyer all the time, too." While his senior football season has come to a close, the school year is far from over. For now, he's focused on the books and says he could make his final decision in the next month or two. "I'm just kind of waiting right now. I've got to finish out my semester first," Butler said. "I'm just worried about school because that's the most important thing for me right now." Since committing to Kentucky, Butler has stayed loyal to the Wildcats. Right after Ohio State offered, Butler told Eleven Warriors, "I'm still solid with Kentucky." But that's, of course, before he makes his official visit when Michigan comes to town. Make no mistake about it, that Saturday is certainly a pivotal point in his recruitment. When asked what Ohio State would have to do to change his mind, Butler replied "It's all based on my last round of official visits. I'll see what I want, see what I like and then go from there." Speaking of talented recruits who are being targeted by the Buckeyes, but also currently committed elsewhere, Sacred Heart Griffin (Springfield, Ill.) tackle Nick Broeker released a highlight tape this past weekend. 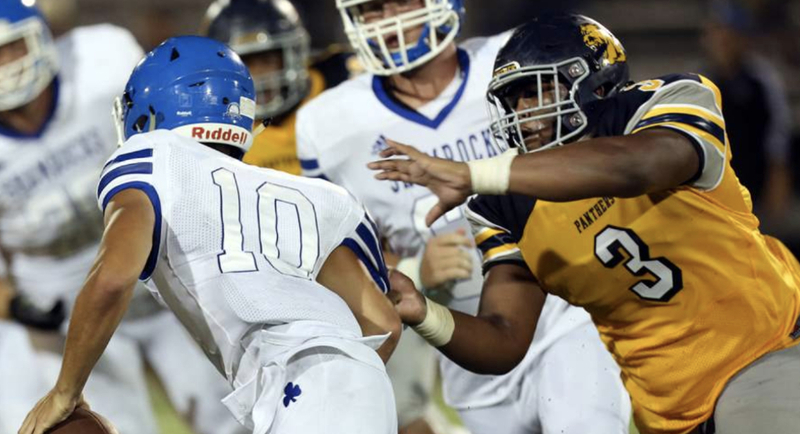 Broeker, a 6-foot-6, 283-pound three-star prospect committed to Ole Miss on June 14. On Oct. 1, Ohio State offered him and, much like Butler, he now has a complicated decision to make. Whenever that visit happens, Ohio State will pull all out the stops to flip him, and for good reason. Here's all the reasons you'd ever need to believe that last sentence. As you'd expect, multiple Ohio State player took to Twitter to comment on their win over Michigan State Saturday, but they certainly weren't the only ones who did so. Members of the 2019 and 2020 recruiting classes followed suit to voice their opinions on the 26-6 victory as well. And I'm sure you won't object to reliving the win again, so without further ado, here's how current commits reacted to Ohio State's ninth win this season. It's rare for a wide receiver to credit a punter for anything, but it's also rare for a punter to be interviewed on national television. Yet, here we are. After Drue Chrisman's big day, 2019 commit Garrett Wilson took notice. Fun fact: when Chrisman was being recruited, he was the No. 1 ranked punter in the nation. During the second half in East Lansing, Ohio State fans broke out the O-H-I-O chant. 2020 commit Paris Johnson Jr., alongside a national audience, could hear it. In Florida, 2020 safety Lejond Cavazos was also watching and, while I'm sure he enjoyed the Buckeyes' win, he also found a new mouthpiece to buy. In his defense, it is sweet.